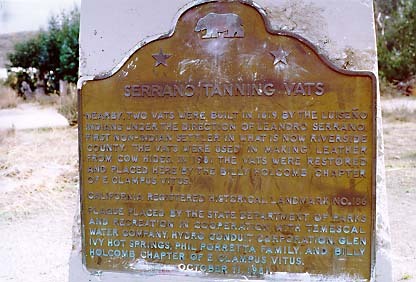 Nearby, two vats were built in 1819 by the Luiseno indians under the direction of Leandro Serrano, first non-indian settler in what is now Riverside County. The vats were used in making leather and cow hides. 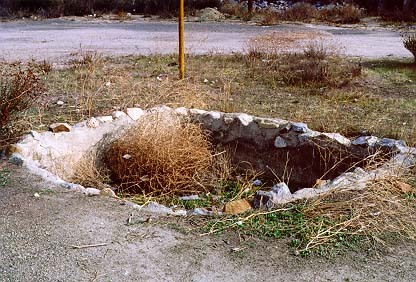 In 1981 the vats were restored and placed here by the Billy Holcomb chapter of E Clampus Vitus. NE corner of I-15 and Old Temescal Canyon Rd, 8 mi SE of Corona.